Few endorsements deals in the bag. 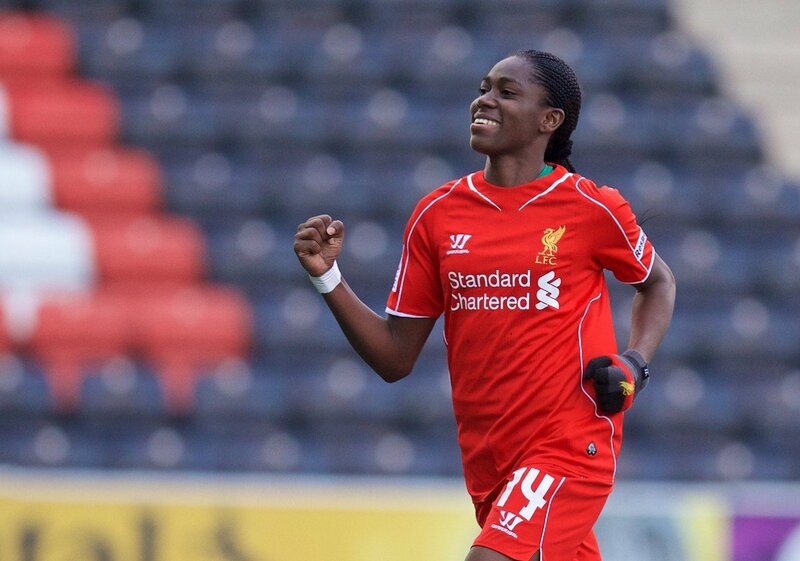 Asisat Oshoala is definitely on a roll this year. Come October 4, 2016, the Arsenal lady will be unveiled as Face of 2016 Women Federation Cup’; courtesy of the Nigeria Football Federation (NFF) and HS Media Group. The event which holds at the Teslim Balogun Stadium, Surulere – Lagos and will herald the chain of activities lined up for this year’s Women Federation Cup final, which comes up later this month in Lagos. The Falcons forward who will grace the final in Lagos, will also dole out signed jerseys and other football items to fans and participating teams in the final at the stadium. This benevolent gesture is in tune with her heart desire to promote the game at the grassroots and help the future generation of young Nigerian players, particularly, ladies who are aspiring to attain the greatest heights in their careers. “I am prepared to join hands with the Nigeria Football Federation to rekindle the passion and bring back the crowd for this age-old competition in Nigeria,” she said. ” I have never concealed anything” – Cristiano Ronaldo releases statement after appearing in court.